A beautiful shaped 14ct Vanilla Gold wedding band ring from luxury jewellers Le Vian. 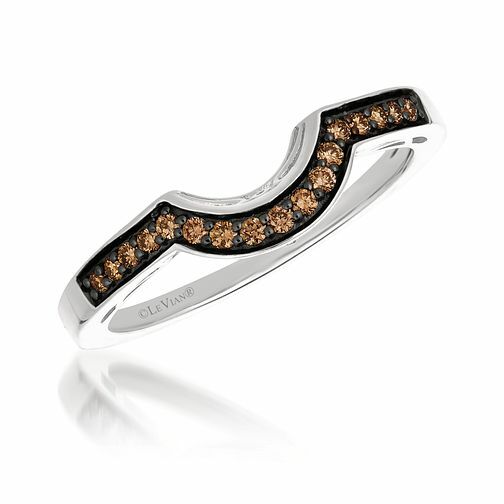 Embellished with radiant Chocolate Diamonds totalling a weight of 0.14cts. Find the perfect partner with Le Vian's suggested matching engagement rings. Matching Engagement Ring: 8224005.